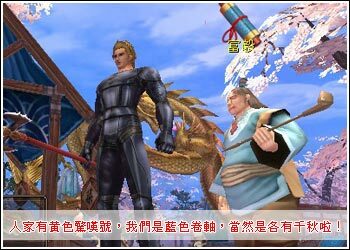 Huang Yi Online is an easy to learn and play 3D game. Basically, players only need to use the mouse to carry on all functions. Following introduces the basic knowledge about operating aspect for the players. Movement in the game: player only needs to push the left key of the mouse in the position where he/she wants the role to advance, the role will move to that position. Because it is a 3 D game, visual angle operation is very important. 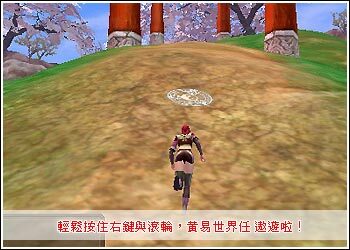 Players can rotate the camera 360 degrees by holding the right key of the mouse and drag it from side to side and from top to bottom. 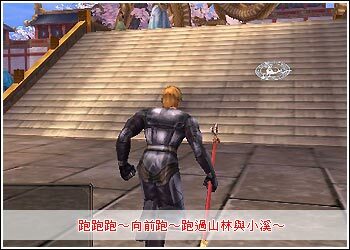 Players can also zoom in and zoom out toward the character by scrolling the gyro wheel of mouse, control the angle of the camera for fixed range. 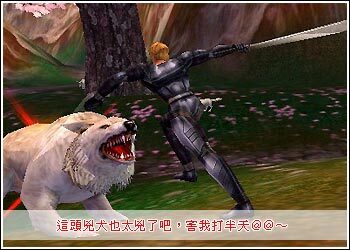 In general combat, player can execute 'normal attack' in the fighting scene by clicking the left key of the mouse two times on the target, then the role will attack that target automatically, until that target's death, player's death or the player change the target of attacking. 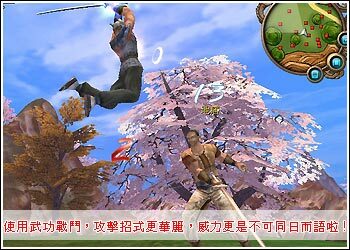 Martial art attack is the most fascinating part in swordsman's game. 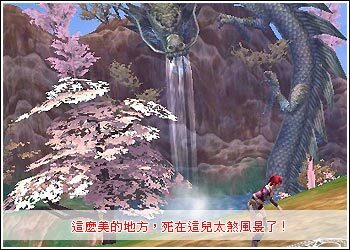 Player can execute martial art attack in the fighting scene by clicking on the martial art the player wants to use (players can manage martial art and drag them into shortcut window), the role will begin with this martial art attack, until the internal force will be exhausted. The player only needs to face toward N P C that player wants to talk and clicks on the left key of mouse two times then the conversation will begin. It will be the same if the player wants to take over the affair or carry on the business transaction. When player sees N P C on the road and is carrying an unopened spool on the head which flashes in red that means that is a quest not yet been taken. 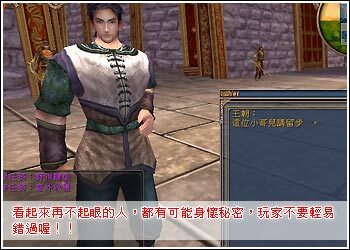 Player can talk with him to accept the quest and the spool will be opened at this moment. If the player sees the spool not only opens but also has red circle above it that means the player has already completed the quest. Talking with businessman can enter the trade window. There are “Buy Item” and “Sell Item” in two different pages. 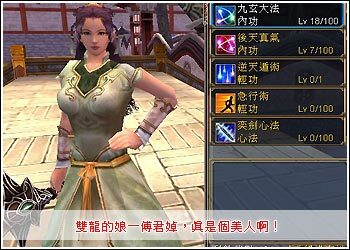 Players can buy businessman's goods offered directly in “Buy Item” page. Players can also drag unwanted goods from their inventory into the “Sell Item” page and the businessman will buy back whatever players want to sell. If players see N P C written 'Martial Art Master' on maps that means they are martial art expert N P C. Players can go to this N P C’s place and study their martial art. But before to do that, players should see the role's condition first, the condition is two: First, the require level is reached. Second, have enough martial art experience. 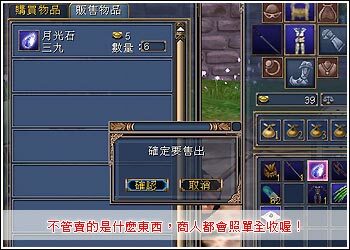 If the player dies unfortunately, it will deduct the player’s equipment durable degree; the level experience value will be reduced too. But if the player has a certain magical red medicine on one's body or has learned resurrection magic or even is put the superior exercises to benefit the internal organs to good use to rescue by others, player can revive in where it is. Punishment for death will be lightened too. If there aren't the three, the player must restart from the rebirth save point and must accept death punishment.